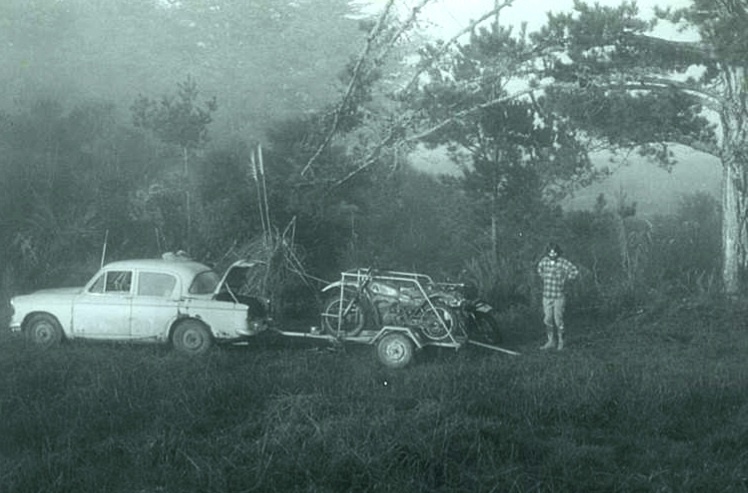 The first VSE was run IN 1974 under the auspices of the North Shore Motorcycle Club (later to become the Waitemata MCC) in Woodhill and Riverhead forests. The event was held in Woodhill and Riverhead Forests joined by on road sections. Jo Van Lier was the winner of the event on a Honda XL350, followed by Hugh Barroclough also on a Honda XL 250 and J Mc Diamond on a Suzuki TS400. The Teams prize was won by the North Shore MCC Team of Peter Hodge, Andy Jack and Blair (Horrie) Harrison. 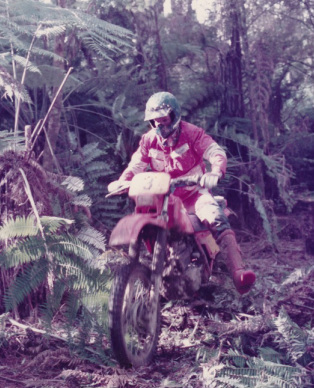 Many VSE enduros were run in both forests with farmland sections usually included to break up the road sections and add variety. 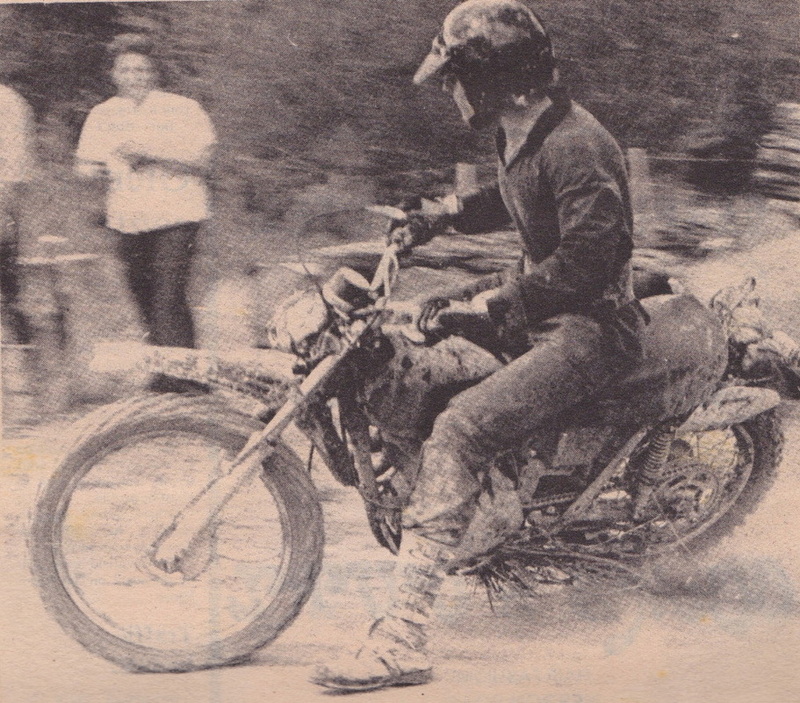 Joe Van Lier was the 1974 and 1975 VSE enduro winner on a Honda XL350. 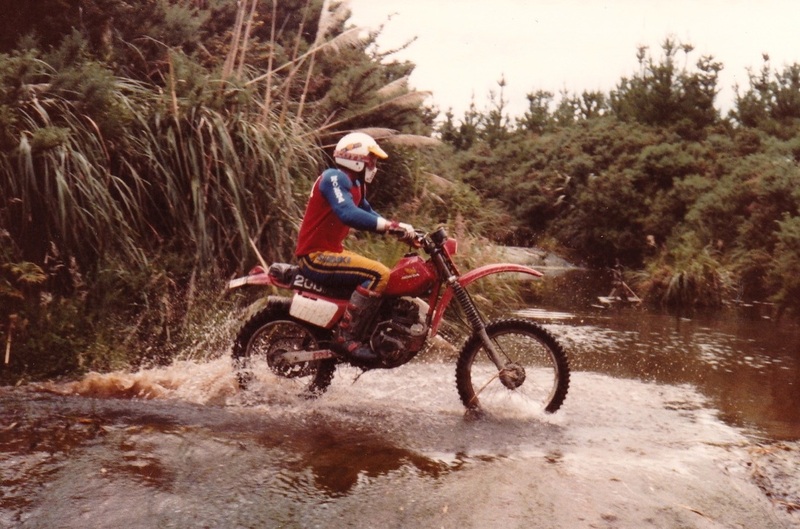 The second VSE was held in Riverhead Forest, still the venue for Waitemata MCC enduros today. Tjebbe Bruin joined me to organise this event that was greatly affected by the usual winter downpours, devilish sticky clay, tree roots and the our particular obsession of the time, deep raupo swamps. Once again Joe Van Lier riding an XL350 engined CR250 special led the way, hotly pushed by Blair (aka Horrie) Harrison) and Andy Jack, both on Honda XL250 Motosports and Evan Lamberton on a Husqvarna 400. Only 18 of the 60 starters finished the course. Above. Bob Jackson skirting a creek in a felled block. Right. The mark out team arrives in Tjebbe Bruin's Hillman ready for another days work. Before the Upper Harbour crossing was built the trip from the North Shore was via Albany Hill. Below. 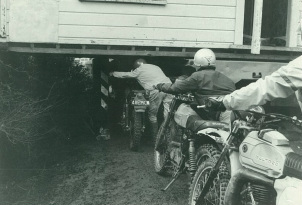 Riders going under a removal house stuck on a bridge during a road section. Right. 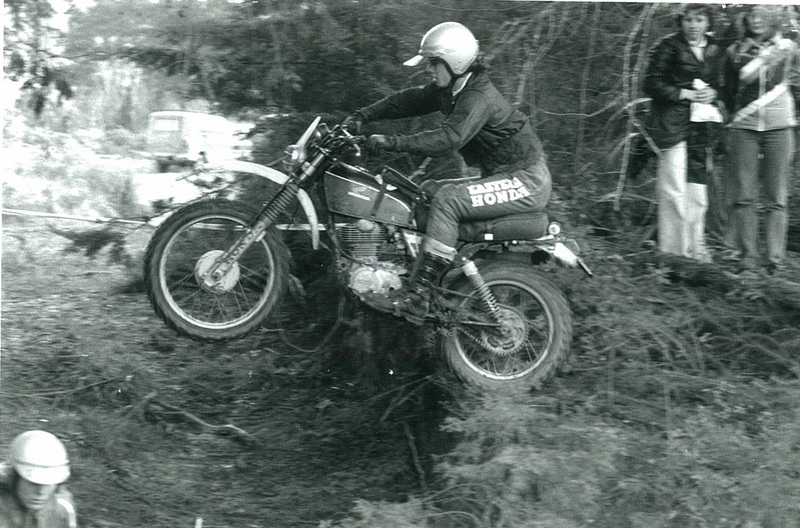 Allan West leaping down a bank on his Honda XL350. THE 1980s - IN COLOUR! By the 1980s purpose built enduro bikes like the Suzuki PE, Kawasaki KDX, Yamaha IT and Honda XR ruled the forests and colour film was increasingly used. The VSE was still run over both Riverhead and Woodhill Forests and though the event had a tough reputation, there were some concessions. 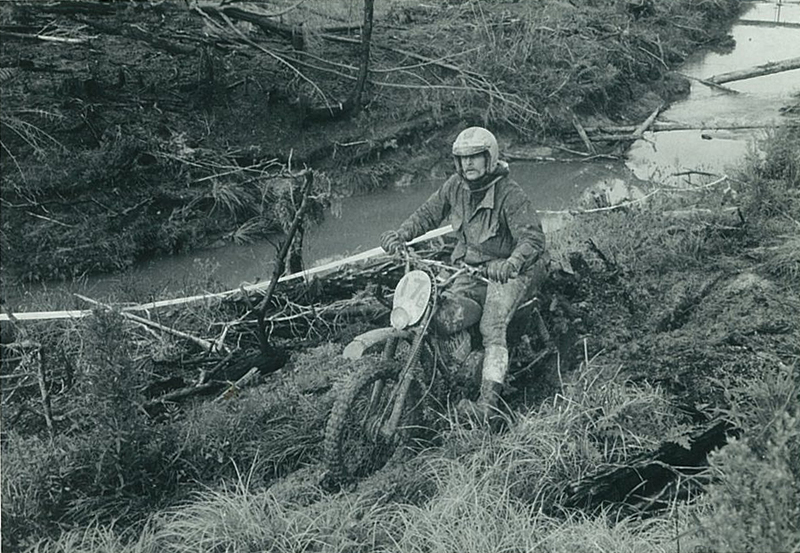 The swamp crossings were all but gone, most soft bottomed creeks had been bridged and a graded course had been introduced so that only experts tackled the toughest sections. Top. Honda XR 200 crossing the Campbell Road ford, do you know the rider? Above left. Typical single track trails of the day, rider? Above right. Enduroised RM250 at Campbell Rd ford, rider? Below. 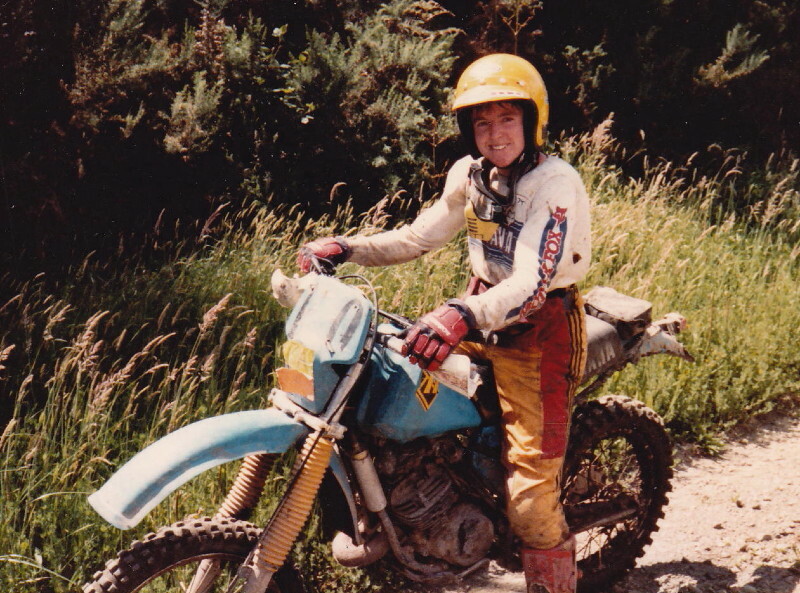 Mark aka Tadpole Davis one of the most successful enduro and hare scramble riders of the eighties.